In the face of widespread fear and apathy, an international coalition of researchers, professionals, and activists (including Michael Pollan and Elizabeth Kolbert) have come together to offer a set of realistic and bold solutions to climate change. One hundred techniques and methods are described here-some are well known, some you have never heard of. They range from clean energy to educating girls in the developing world to land use practices that pull carbon out of the air. The solutions exist, are economically viable, and communities throughout the world are currently enacting them with skill and determination. If deployed collectively on a global scale over the next thirty years, they represent a credible path toward not just slowing the earth’s warming, but actually reaching drawdown, that point in time when greenhouse gases in the atmosphere begin to decline. These measures promise cascading benefits to human health, security, prosperity, and well-being-giving us every reason to seize our planetary crisis as an opportunity to create a just and livable world. Hey Buddy!, I found this information for you: "Drawdown. The Most Comprehensive Plan Ever Proposed to Reverse Global Warming". 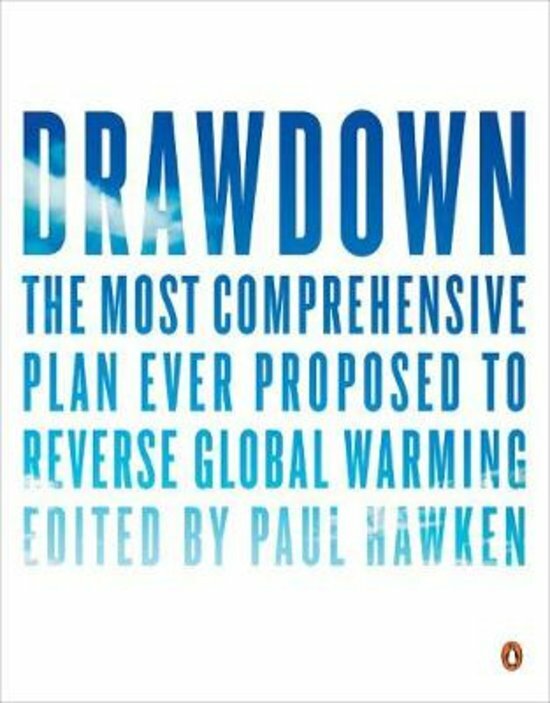 Here is the website link: https://www.duurzaam-ondernemen.nl/boek/drawdown-the-most-comprehensive-plan-ever-proposed-to-reverse-global-warming/. Thank you.